Way back when I first moved here I was asked by friends and family, “Why Tamarindo?” Back then, there were just a handful of families here; basically, a combination of fishermen and business owners. Everybody knew everyone in town, and there were very few amenities, if any. One administrated telephone for the whole town, long electrical blackouts in the rainy season, three TV channels with horrible reception, and a forty minute drive to do your marketing and banking. 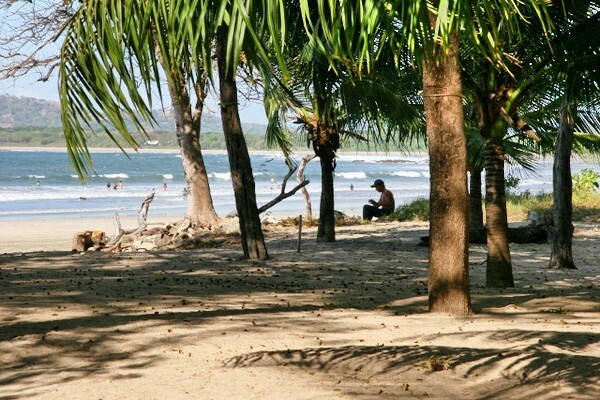 So, with all that I was asked, “Why Tamarindo?” Well, I would say, it is one of the most beautiful beaches in the country, there’s great surfing, excellent fishing, the consistent weather, and good hard working people as neighbors. Now, 30 years later, with the boom of the early 2000s behind us and a world economic crisis that is trying to linger on, that question is more relevant than ever. A shy recovery was noticed in early 2011, activity has improved, property sales have been pretty consistent since, but it hasn’t taken off. The market has been more like “bouncing off the bottom;” but, as the needy seller sells and the prime properties are sold (or taken off the market) the more recent commonly used phrase, “We’re cautiously optimistic,” may change soon to, “Buy now before what you want is sold.” There is also other evidence of recovery in Tamarindo besides property sales, like new businesses opening, older ones remodeled or rebuilt, new homes under construction and developers beginning new projects. All are positive indicators that we are beginning a more steady recovery. So, when the question is asked today, “Why Tamarindo?” the answer is a bit more extensive. It is one of the most beautiful beaches in the country, great surfing, excellent fishing, the consistent weather, good hard working people as neighbors, and we now have the new Liberia International Airport and a soon-to-be-finished first class hospital (CIMA) both within an hour drive, high-speed Internet, cable TV, doctors, dentists, markets, stores, pharmacies, hardware stores, mechanics, veterinarians, schools, banks, car rentals, a small plane airstrip and, of course, excellent restaurants. This is still a buyers’ market, but the question now is how long will there be enough property inventory available for that to remain a fact?